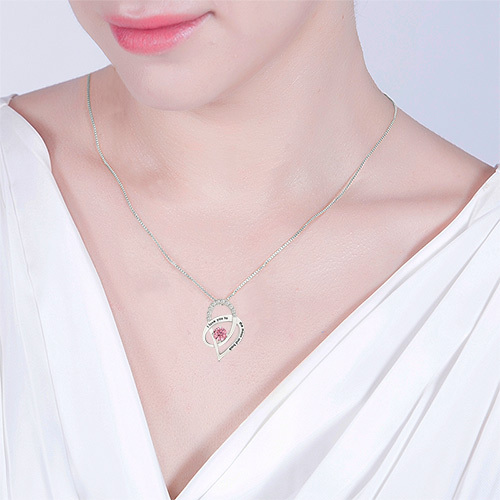 This I Love You To The Moon and Back Heart Charm Necklace in hand-finished sterling silver with unique detail symbolizes everlasting connections. 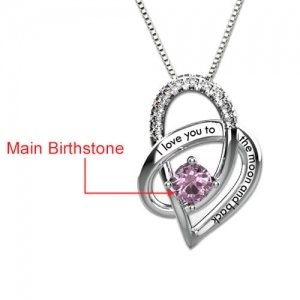 Share this sweet pendant to be worn and cherished always. 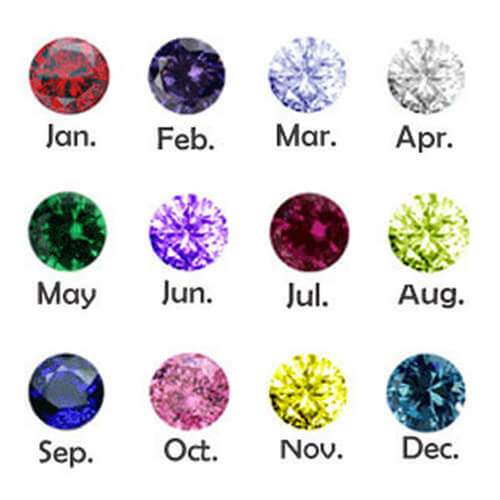 Add a custom birthstone on the heart pendant to make it one-of-a-kind. Lavish love on yourself or a loved one with this delicate heart pendant. 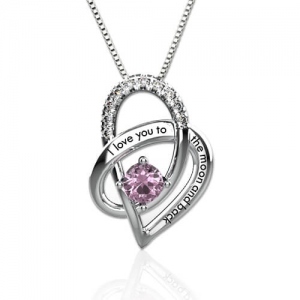 An elegant expression of love.